Herzogenaurach, Wednesday 21 September - adidas has today (Wednesday 21 September) unveiled the first product to be created at its industry-changing SPEEDFACTORY facility in Ansbach, Germany – the adidas Futurecraft M.F.G. (Made for Germany). Designed to provide the ultimate fit, the adidas Futurecraft M.F.G. shoe is the first step in what adidas believes will be a game-changing moment for the industry. It represents the first high performance footwear to come out of the adidas SPEEDFACTORY, which will ultimately allow for the creation of footwear made for the specific fit and functional needs of consumers. The SPEEDFACTORY development process – and adidas Futurecraft M.F.G. shoe – will combine to create a state-of-the-art product made for individual needs. The shoe will be part of adidas Running and will be an initial test from adidas with the view of rolling out to other categories in the future. The shoe features the highest design precision possible. ARAMIS technology has been used to understand the precise detail of how an athlete’s foot moves whilst running. This has led to the 3-stripe cage and traditional heel counter being replaced with a series of patches that are placed across different parts of the shoe to provide the best possible support. 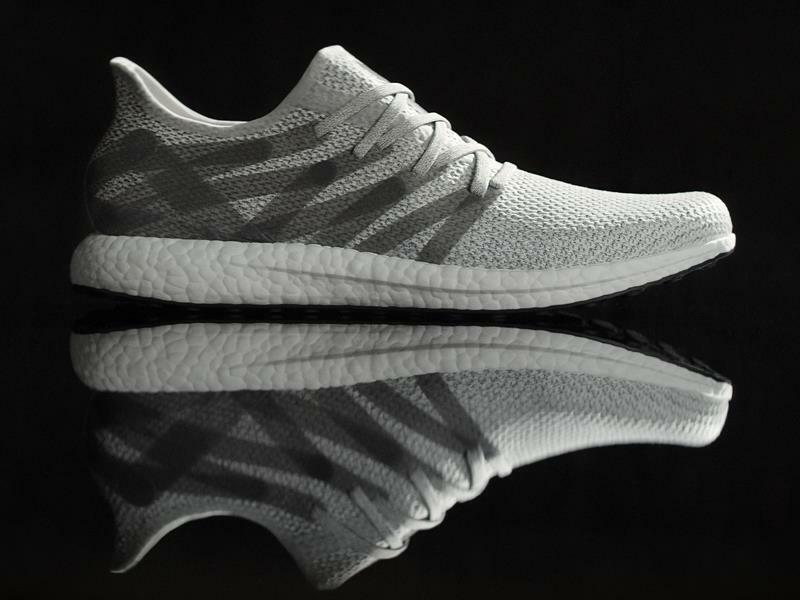 With an innovative joining process being applied, the shoe is not only more sustainable but also benefits from adidas’ ground-breaking BOOST technology, giving the Futurecraft M.F.G. all the energy return benefits of recent adidas Running shoes. The final key feature is a new torsion bar, which is fitted into the outsole, for greater flexibility. The shoe has a PRIMEKNIT upper with all the elements combining to create the highest level of comfort, support and style. The SPEEDFACTORY facility will ultimately allow for adidas to create shoes specifically made for the needs of the consumer. The initial product, coming out of the Ansbach facility, will be made for Germany, with exclusive retail in the German market. adidas will roll this approach out across further markets in the near future, with the US being the next to benefit from the SPEEDFACTORY model following the announcement of a similar facility being constructed in Cherokee County, Atlanta. For more information visit www.adidas.com/futurecraft.